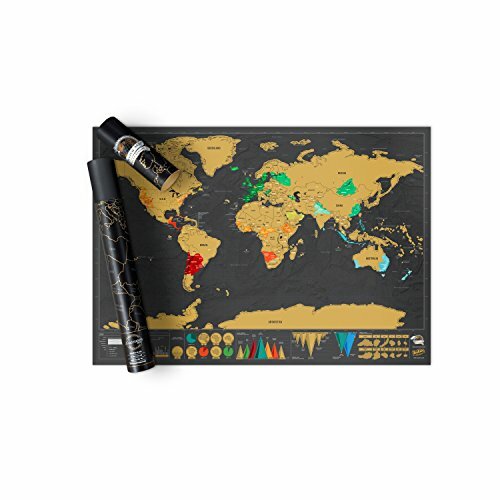 Looking for unique travel gifts? Do your friends and family love to travel? 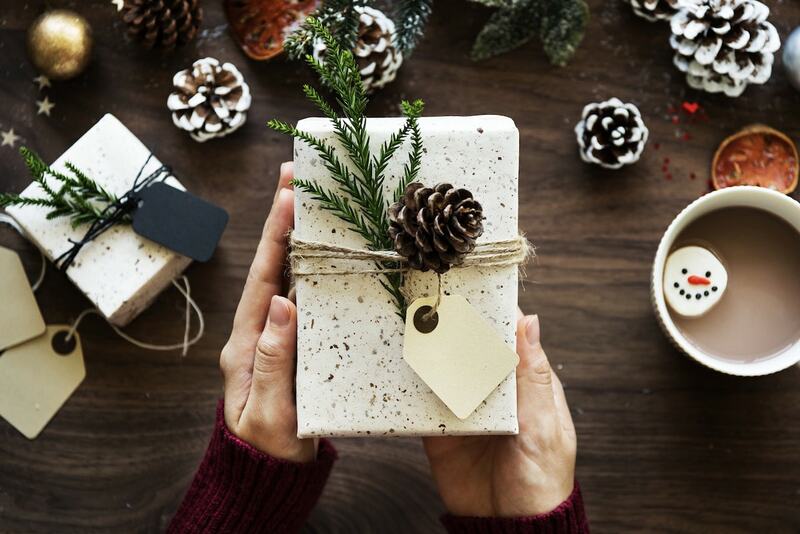 I’ve popped together this list of the best gifts for travel lovers, with plenty of unique travel gifts, perfect for your favourite jetsetters! As a frequent traveller, I often ask for very boring, practical gifts, but gradually I’ve supercharged the list-writing process. If you love to explore the world, then you deserve some fun and unique travel gifts too. 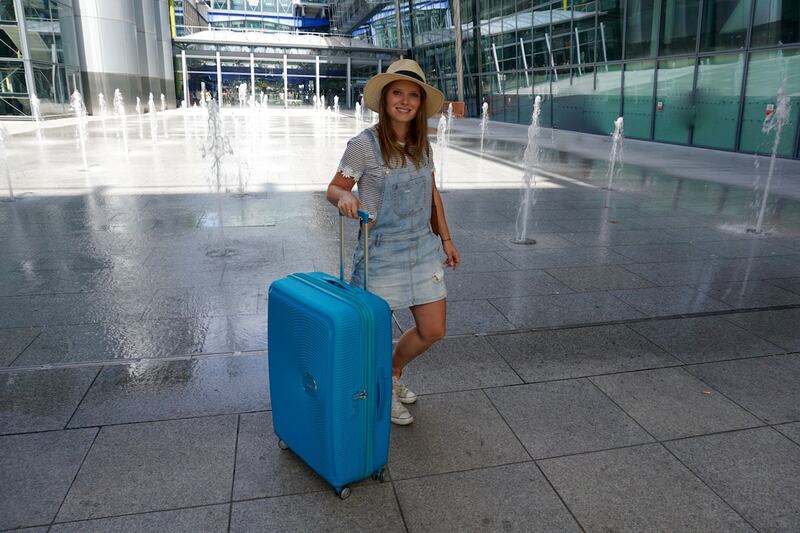 From scratch maps to document where you’ve been and jewellery to wear on your adventures, to inspirational books and cute travel accessories, there’s something for every kind of jetsetter on my list of unique travel gifts. 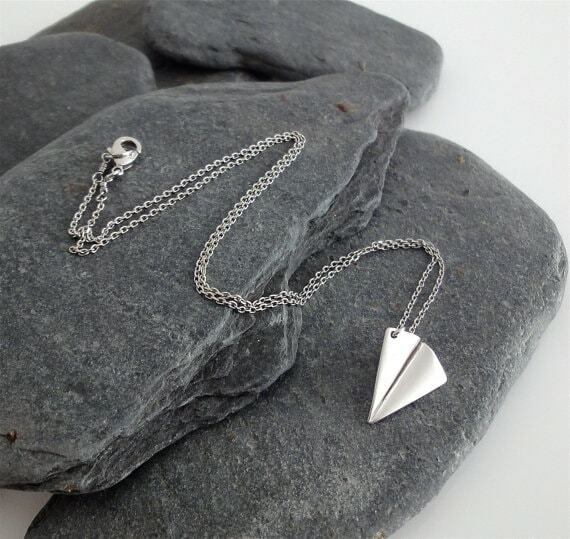 The paper airplane has long been an icon of travel and I just adore this unique and delicate silver paper airplane necklace. With its simple design, it will go with pretty much anything, plus it’ll make you feel a little more glam when you’re travelling the world. 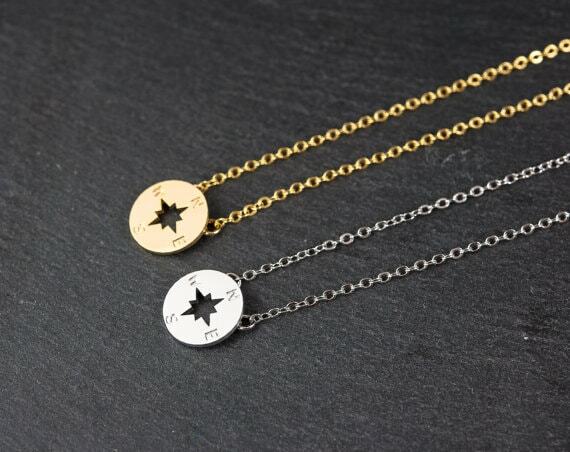 I also absolutely love this compass necklace too – a great gift for a female traveller. 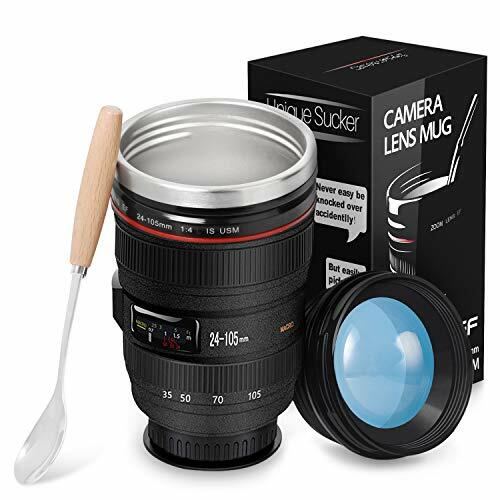 Travel and photography go hand in hand, so add this fun coffee mug to your camera bag! My boyfriend received this as a Christmas gift last year and uses it all the time. It’s especially good considering the concerns over plastic usage and recycling these days too. Oh and it’s uncannily realistic… just don’t mix it up when you’re reaching for your wide angle! This is the perfect gift for a frequent traveller who sees their passport as their most prized possession! There are lots of cute passport holders out there but I particularly like this one with its cute message and vintage map design. 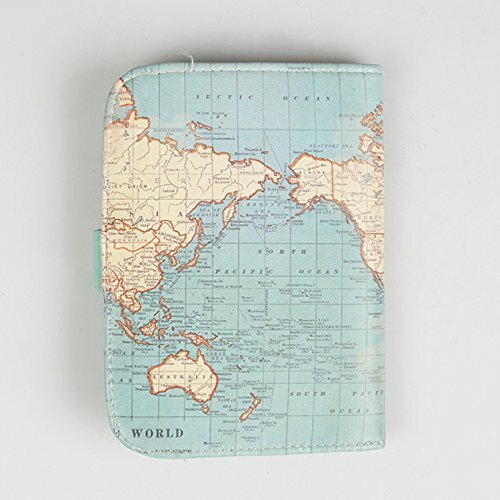 Looking for more great travel purses and passport holders? Check out the 17 best travel purses around right now. 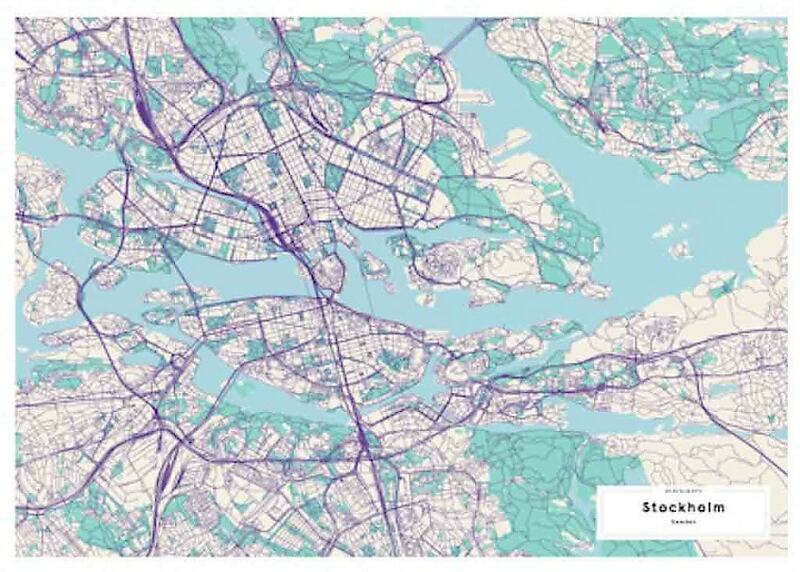 I absolutely love these city maps made by Mujumaps. Select your favourite city, choose your colours and they’ll send you one of these lovely prints! I’ve just ordered the London one for my new flat, and if you fancy ordering one, you can grab 10% off with my code wanderlustchloe10! 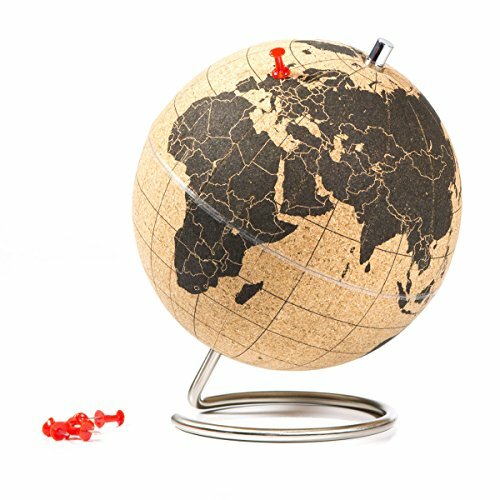 Stick a pin where you fancy going next in this mini cork globe! 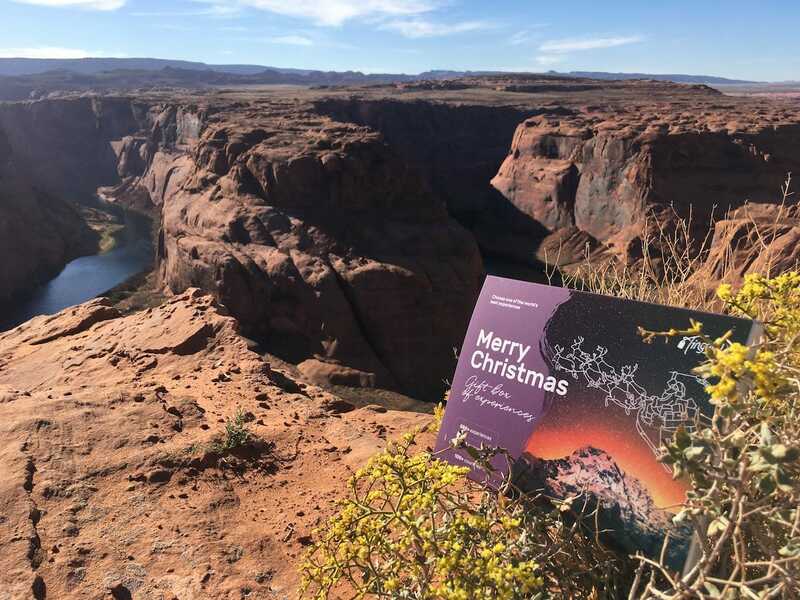 A fun tabletop present for any travel lover. 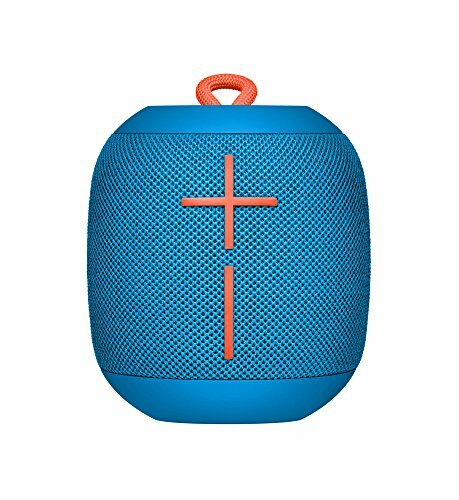 I always take a portable speaker on my travels for those moments when I want to listen to music or watch a film (and not listen through my phone or laptop speakers). 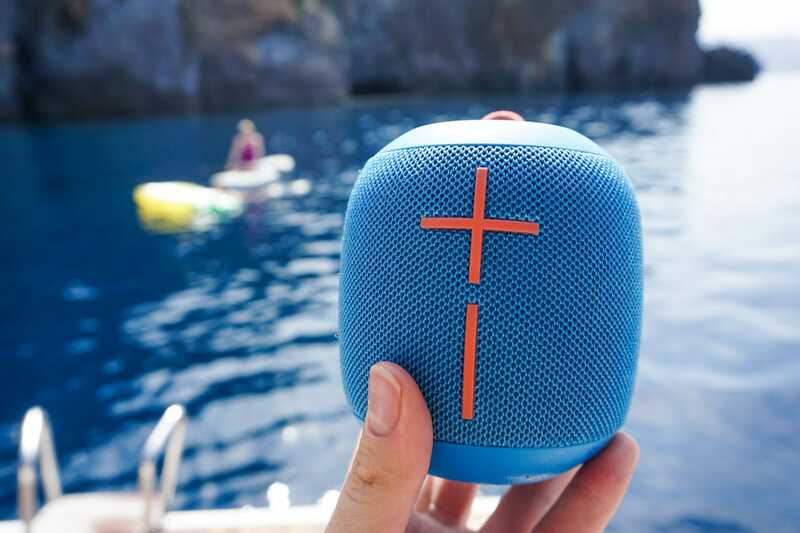 This small Ultimate Ears bluetooth speaker has amazing sound quality, is waterproof (yes you can take it in the pool!) and is perfect for travellers. They come in a range of colours and if you have a few, you can connect them together to make your music extra loud! 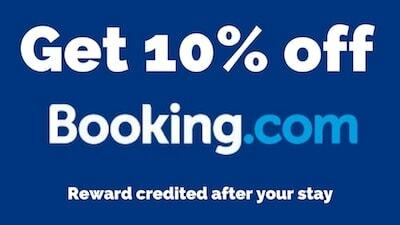 Buy your loved one an awesome travel experience somewhere in the world. 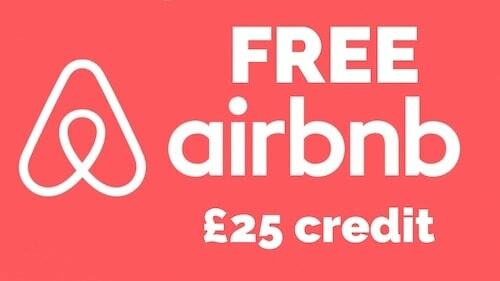 Tinngly have this fab Christmas travel gift which you can either order as an e-voucher or as a physical box to give someone. 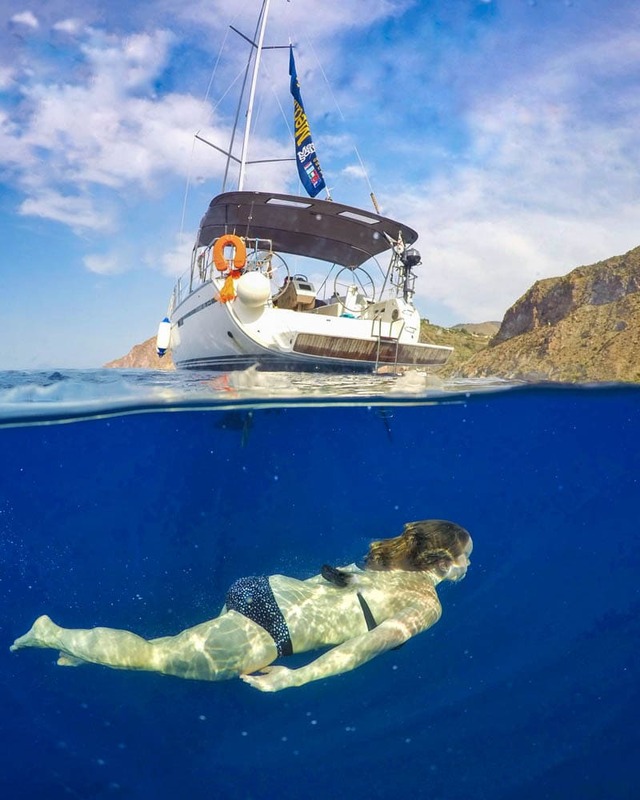 From diving with sharks and the world’s tallest bungee jump to the oldest yoga retreat in India and gondola ride in Venice, once you give someone the gift, they can select an experience to match their interests. What a great idea! It’s important to tag your bags incase of any mishaps. I also love having fun, colourful luggage tags so that I can spot my bags easily on the airport conveyer belt. I think it’s worth getting a selection to pop on different bags, so you don’t have to keep changing them. 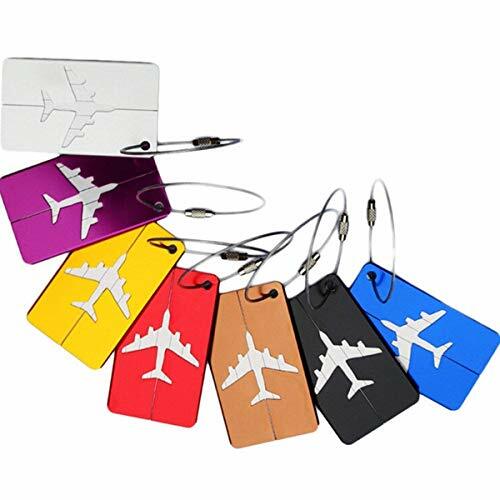 These colourful aluminium luggage tags are hard wearing and easy to spot! I always take a water bottle on my travels so I can refill on the go. 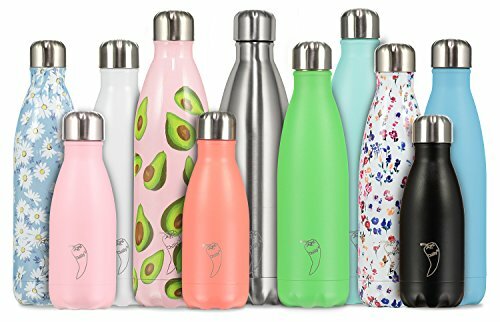 Like many, I’m trying to cut down on my plastic usage and waste, so having a stylish and fun reusable water bottle would be a great gift! Have a look at the options, no doubt you’ll find a colour or design to match the person you’re buying for! 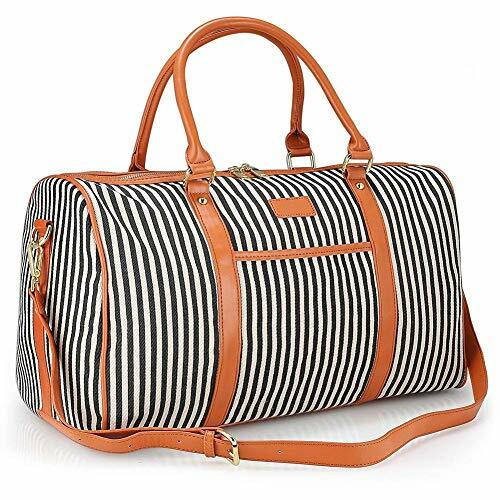 I’m looking for a fun weekend bag and came across this cute nautical holdall. If stripes aren’t your thing, I spotted lots in different patterns. It’s a bit of a bargain at just under £30 too! One of my most used travel items, microfibre towels soak up water fast and dry really quickly, making them perfect for every situation, from beach days to showers and baths. 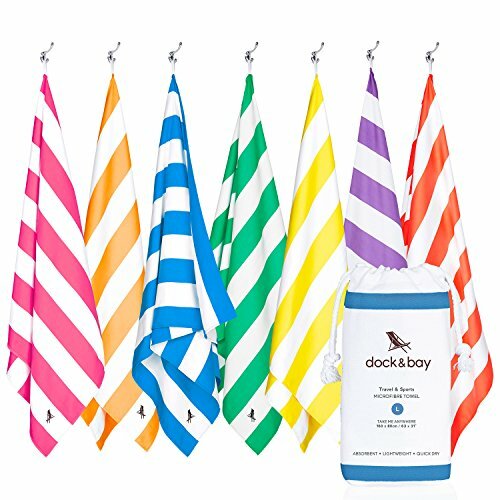 I love these by Dock & Dry as they come in lots of fun patterns and colours. I find it hard travelling with jewellery. Often my necklaces and bracelets get tangled up, so now I barely take any jewellery away with me. 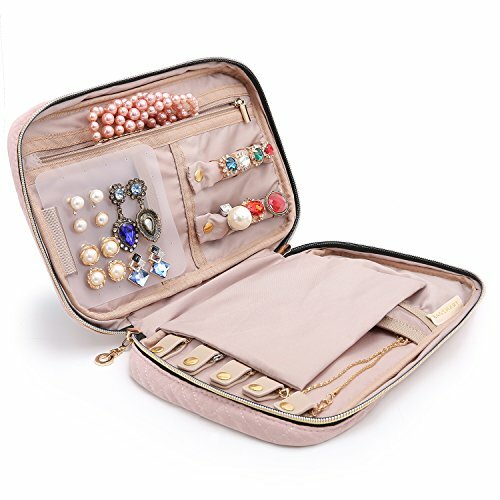 This travel jewellery organiser looks perfect! 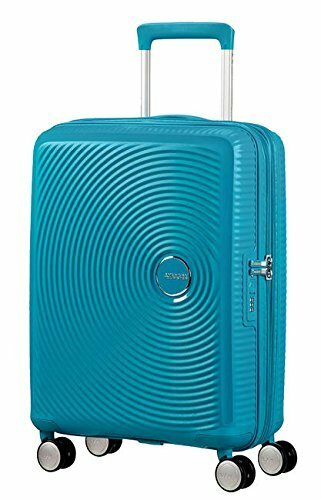 It’s certainly a unique travel gift, perfect for female travellers who still want to stay stylish on the go. What a unique travel gift! One of my best friends gave me a scratch off world map last year for Christmas and it’s fab! After each trip I can’t wait to get home, grab a coin and scratch off where I’ve been. The only dilemma – whether to scratch off a whole country or just the region you’ve been to. If you do it by country you’ll be gagging to get to Russia, although the scratching will take you a while…! When you’re struggling for gift ideas, I’d recommend some inspiring travel books. 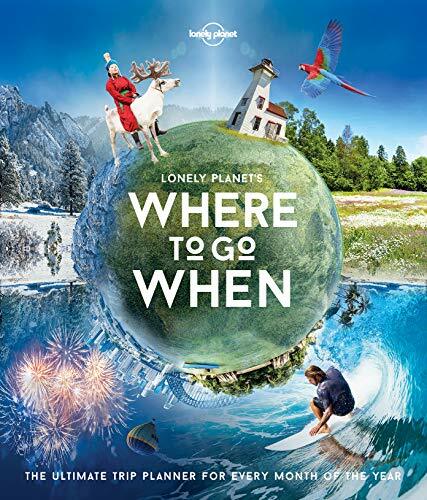 I’m a huge lover of a coffee table book, and this one by Lonely Planet is full of inspiration, beautiful photos, and info to start planning your next adventure. For every month of the year you’ll find 30 recommendations of destinations to visit. If you didn’t capture it, did it really happen?! Of course it did, but it’s amazing to capture your biggest adventures on a GoPro. 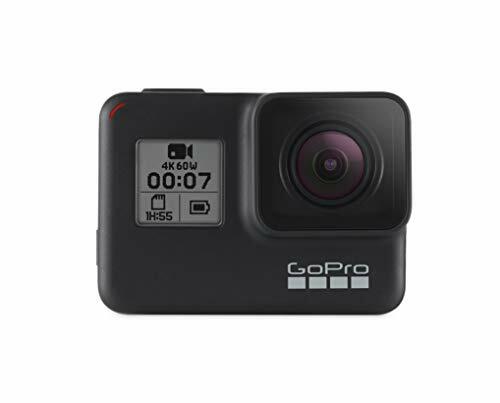 Whether you’re bungy jumping, diving or just hanging out with friends, this new model is the most powerful and easy-to-use GoPro ever. After using the Hero 4 for years, I finally upgraded to the GoPro HERO7 a few months ago. I can’t believe how stable the footage is! You can see it in action in my ziplining video from Ras Al Khaimah. Once you’ve got a GoPro HERO7, this is the coolest accessory to add! There are a few domes on the market, and what do they do? 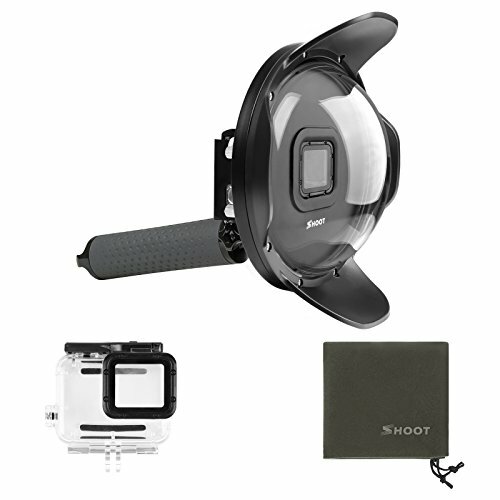 Allow you take a photo that captures what’s going on above and below water in one shot. Definitely a unique travel gift for anyone into photography! I bought this for myself earlier this year and it’s made my life a lot easier when it comes to charging my gadgets abroad. 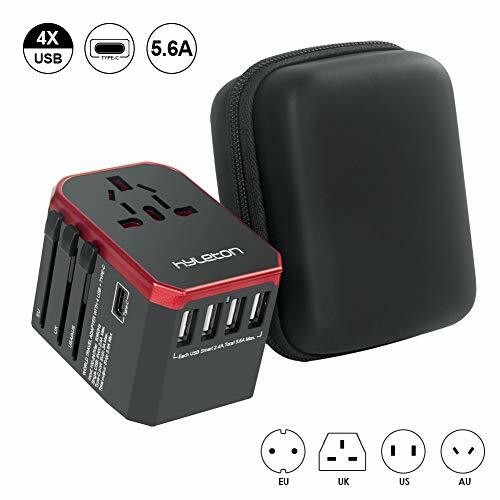 The travel adapter has one standard plug port, 4 USBs and a USB-C port. I can charge 6 gadgets at once if I need to without having to pack multiple plugs and adapters. I can’t remember the last time I went on a trip and didn’t pack ear plugs! I’m not guaranteed to need them on every flight or at every destination, but there have been a few times when I’ve been eternally grateful for them! 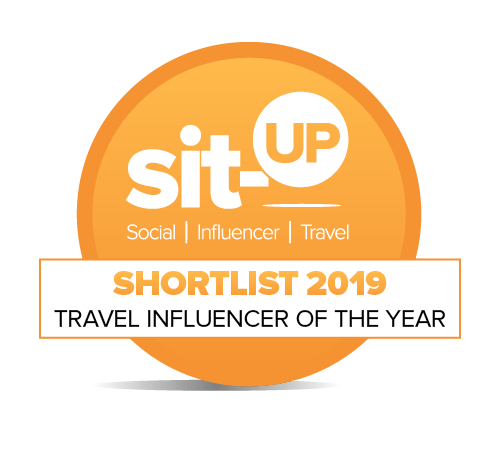 I really rate these ones in particular, which have blocked out screaming twin boys, a guy who liked a good phlehmy snort, a constant toilet flush (learned the hard way not to sit near the toilet…) and a German stag do. Similarly, this is another essential for me. 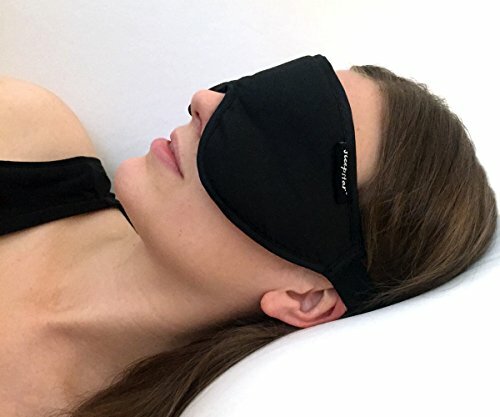 I think this is the most comfortable eye mask around. I’ve had mine for two years and it’s great quality and fits nicely. Many have been scratchy or thin, so it’s worth spending a bit to get a really cosy, comfortable eye mask. 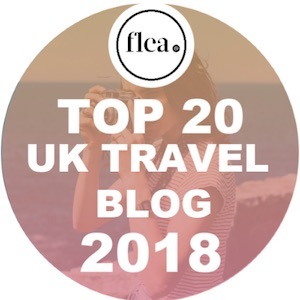 Not only are they great for flights when you want a bit of shut eye, they’re also good on long bus journeys, and in lovely sunshiney destinations where you get blinded by sunlight streaming through the curtains at 6am. A good travel pillow is a traveller’s best friend! I take mine on all long haul flights. I’ve tried a few and this is one of favourites. 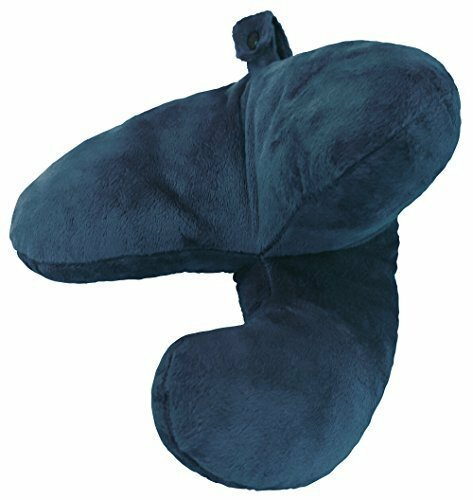 It might look like a funny shape but the J Pillow supports your head, chin and neck all at once. It’s won all sorts of innovation awards too, and for very good reason! I hope I’ve helped you find a unique travel gift for the jetsetters in your life. If you’re looking for more great gift ideas for travellers, check out the 17 best travel purses around right now. I love the passport cover and the laptop sleeve – super cute!! Me too! Definitely featuring on my Christmas list this year! I’m from South Africa and really want the passport cover. Can I buy it online? Or design my own personal passport cover? Thanks!! Hope you get what you want!! Me too! I love Christmas! Love the look of that whisky set. Would be great for my Dad. I’ve asked for a GoPro too! Thank Jacinta! I hope Santa’s been listening to your requests. The Talisker whisky is definitely one of my top gifts this year too. These are so different Chloe. I love that camera lens coffee. Brilliant! Genius isn’t it Ryan? My boyfriend loves his! !